QNAP Systems, Inc., provider of professional network video recording (NVR) and network attached storage (NAS) solutions, and Grandstream Networks, the leading manufacturer of VoIP Phones, Grandstream IP Video Phone, Grandstream DECT IP Phones and Grandstream IP Video Surveillance, today jointly announce the certification of Grandstream’s GXV36xx IP video surveillance cameras and Grandstreams IP video encoders, Grandstream GXV3500 IP Video Encoder/Decoder, Grandstream GXV3501 IP Video Encoder and Grandstream GXV3504 IP Video Encoder with QNAP’s video management solutions. 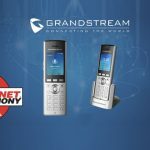 The Grandstream GXV36xx range includes the Grandstream GXV3601 IP Camera model, Grandstream GXV3601_HD IP Camera, Grandstream GXV3601_LL IP Camera, Grandstream GXV3651_FHD IP Camera, Grandstream GXV3615 Cube IP Camera (PoE), Grandstream GXV3615W Cube IP Camera (Wireless) and Grandstream GXV3615WP_HD Cube IP Camera. QNAP products are compatible with ONVIF specifications, and we are glad to collaborate with Grandstream for the compatibility of QNAP surveillance solutions and Grandstream IP cameras,” said Meiji Chang, the general manager of QNAP Systems, Inc. “We have been devoted to designing professional stand-alone NVR with the strength in IP-based storage technologies, and closely working with IP camera manufacturers in order to provide high quality surveillance solutions to the market. The compatibility of QNAP products and Grandstream IP cameras presents our endeavor to provide our users with greater flexibility when choosing a reliable IP surveillance system,” added Chang. We are proud to announce interoperability between our entire line of IP surveillance cameras and QNAP Security’s robust video management solutions,” said David Li, CEO of Grandstream. “QNAP serves the global market with powerful and easy-to-use video recording and monitoring solutions that improve business efficiency and offer top-notch surveillance to home and business customers. The combination of Grandstream and QNAP Security offers a complete, end-to-end surveillance solution that is loaded with features to meet any surveillance application while allowing for future growth. 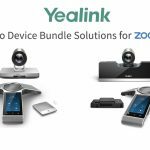 Grandstream meets HD or low light application needs with an array of surveillance solutions including box IP cameras, cube & mini dome IP cameras, outdoor IP cameras, etc. 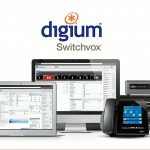 The award-winning GXV36xx family of IP video surveillance solutions delivers crisp, clear picture quality, rich telephony features, significant price-performance competitiveness, full compliance with industry standards and broad interoperability with industry video management systems. All Grandstream IP cameras support ONVIF standards and HTTP API for easy integration with VMS. 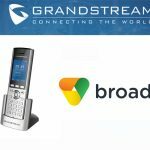 Grandstream cameras uniquely offer bi-directional SIP/VoIP audio and video streaming capabilities to mobile phones and videophones, from anywhere in the world. 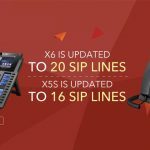 High quality live video feeds from any GXV IP cameras can be routed through the IP PBX onto IP multimedia endpoints including Grandstream’s GXV3140 and GXV3175 video phones. Allnet Italia, a mutual distribution partner of QNAP and Grandstream, played an instrumental role in facilitating interoperability testing between QNAP’s NVR and NAS solutions and Grandstream’s IP Surveillance cameras and IP Video Encoders. The certification of Grandstream’s IP Surveillance Cameras and IP Video Encoders with QNAP’s powerful NAS and NVR solutions offers SMBs and consumers’ one of the most comprehensive end-to-end security solutions on the surveillance market,” said Emiliano Papadopoulos, CEO of Allnet Italia. “Businesses and consumers who are looking for a reliable and easy-to-use surveillance solution will be thrilled by combining Grandstream’s wide range of feature-rich, ONVIF-compliant IP cameras with QNAP’s cutting-edge Video Managements products to create a fully comprehensive surveillance solution.